"I am truly ashamed of them. They have dishonored every principle and ethics the Police Department stands for"
A San Francisco police officer detailed the racial slurs and discrimination directed at him from fellow officers over the past few years at a news conference Tuesday at the the San Francisco Public Defender's Office. San Francisco's Public Defender Jeff Adachi said the SFPD officer of Afghan descent, who asked to remain anonymous, was asked "is anyone in your family a terrorist?," and called a racial slur four times by other officers. The officer, who joined the department in June 2016, said he experienced “blatant racism” and witnessed “blatant misconduct against citizens” and said he raised concerns with Human Resources but was called a rat and shamed for whistleblowing. "When I joined the SFPD, I was fulfilling a boyhood dream. I had admired the SFPD since my family came to this country. I was 8 years old. A kind SFPD officer helped my family find their way after arriving at SFO," the officer said and expressed his disappointment in the department. "I am truly ashamed of them. They have dishonored every principle and ethics the Police Department stands for," he said. The officer says he’s been harrassed and demeaned by fellow officers because of his Afghan background and Muslim faith. He said the Internal Affairs department exposed his complaint instead of investigating. Asked why he lost faith in the IA process, he said, "Leakage. Nonstop leakage. Finding out stuff that supposedly is supposed to be confidential, and yet everyone in their department knows about it." Adachi also detailed other misconducts by SFPD officers, including using homophobic slurs and sexual misconduct, as alleged by the whistleblower. Adachi said the officer first raised concerns about the racial comments in November of 2017 and filed an official Equal Employment Opportunity complaint in January 2018. Since then, the officer said he has received backlash from other officers and sergeants. 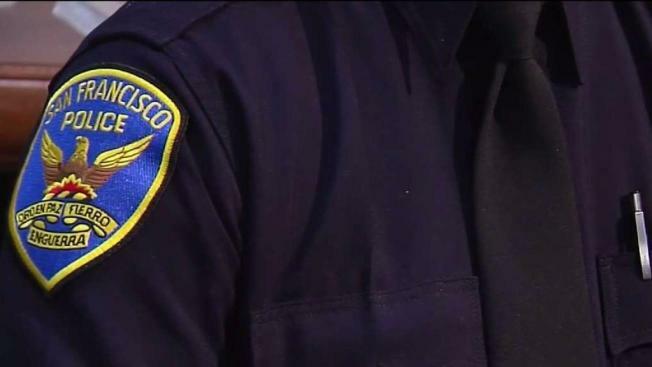 SFPD released a statement Tuesday in response to the allegations, saying in part it has "implemented a number of measures to ensure all members of the public and our department are treated with respect and dignity." The officer has not filed a suit with the Police Department and is more interested in seeing change within the department, according to Adachi. "This is not about money, this about wanting to improve the department," Adachi said. This isn't the first time an SFPD officer faced retaliation for their complaint, according to the Public Defender's Office. In November 2017, an African American officer, Joel Babbs, claimed he have faced months of retaliation for alleging racism in the ranks, the Public Defender's Office said. "The San Francisco Police Department takes the allegations presented today very seriously. The department was made aware of these allegations in November, 2017 and immediately initiated an investigation. There are currently three ongoing investigations by SFPD and the City’s Department of Human Resources. SFPD will thoroughly investigate all alleged misconduct uncovered during these investigations which implicates any member of this department. "In the past three years, SFPD has implemented a number of measures to ensure all members of the public and our department are treated with respect and dignity. The department has instituted implicit bias and procedural justice training for all sworn and civilian members; implemented best practices recommendations from the U.S. Department of Justice; instituted electronic audits of communications; entered into agreements with academic partners to analyze vehicle stops and the use of force; and launched the Not On My Watch campaign to promote improved relations between officers and the public. We are committed to providing just, transparent, unbiased and responsive policing and will continue to build and maintain trust with the communities we serve.